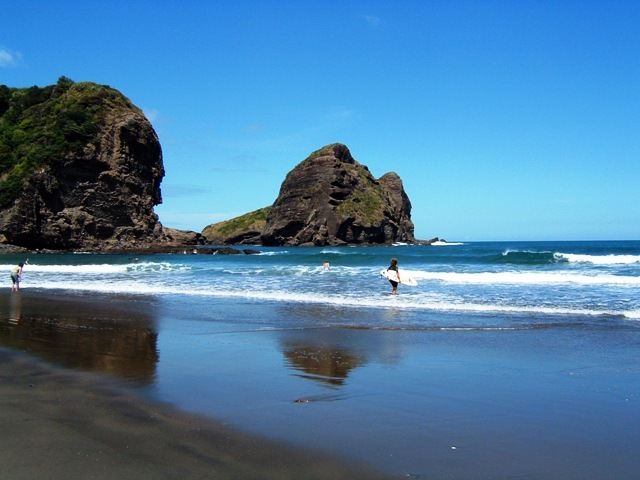 Piha Beach is a beautiful black sand surf beach, it has a wind swept rugged feeling to it, but can also be a sunny hot haven. 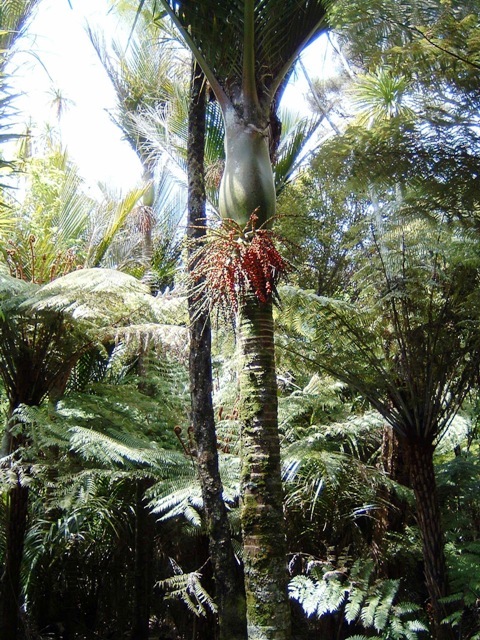 And its only 40 min from Auckland! Hours can be spent just passed absorbing the heat of the iron sands. A great place to have a picnic. 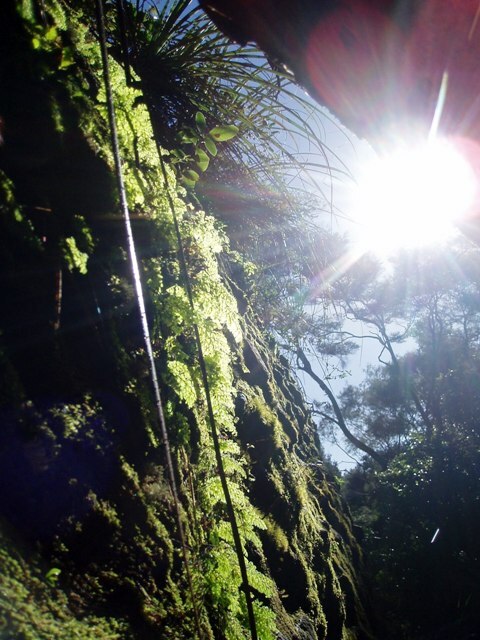 If you need a break from the midday sun there are plenty of bush walks up to look out points and wandering bush streams. Climb Lion Rock to get a great view out to sea and back on to the mainland. 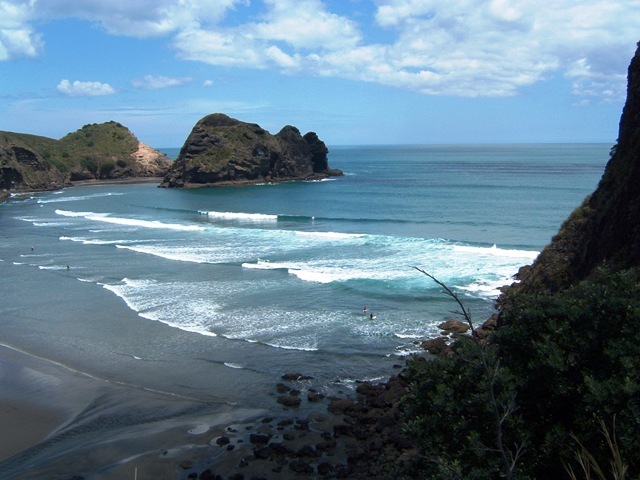 Piha Beach can have strong rips, swim between the flags. Emergency phone number dial 111. 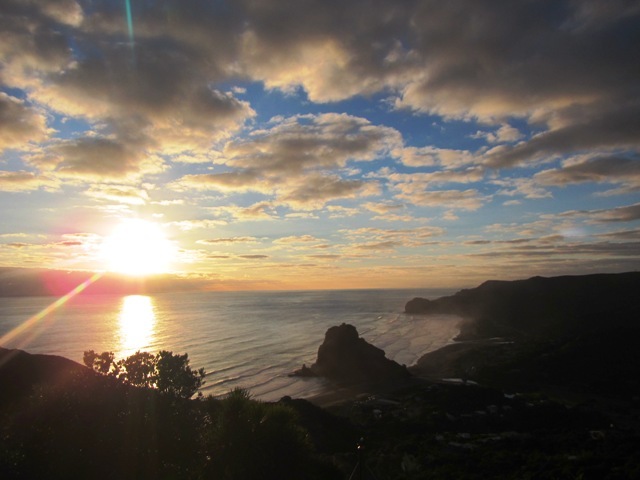 Remember to fuel up before going to Piha – there’s no petrol station in Piha. 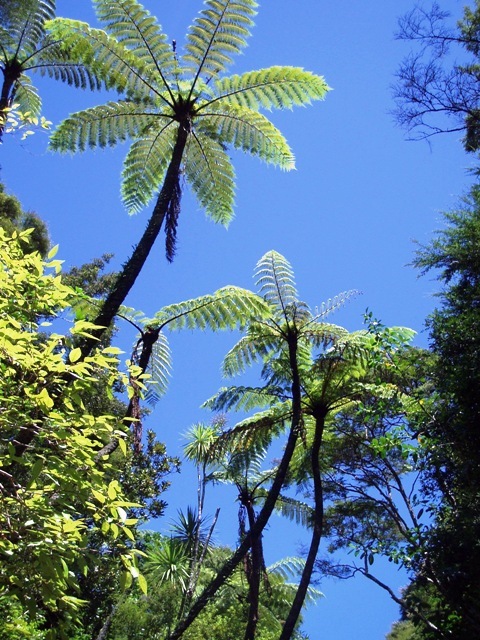 The Piha Store has great coffee, food and general supplies. The West coast gets the prevailing winds so usually has surf, the condition of the waves vary and it pays to check the swell size, wind and tide to get the best time to surf. Board hire is available at the Beach. Plenty of rips and undertows so only swim when the life guards are on duty. 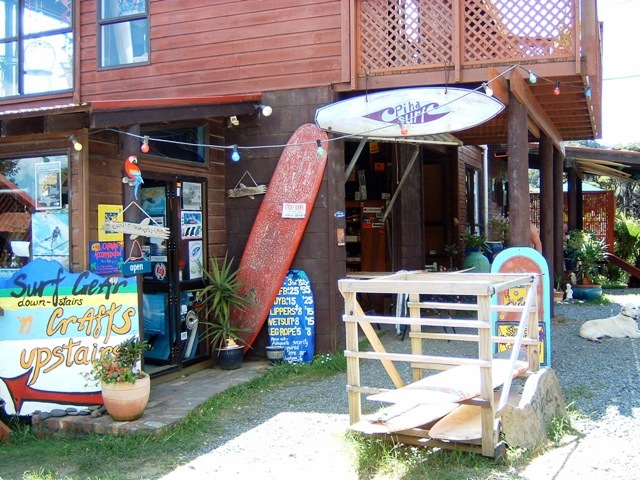 To hire surf equipment in Piha. 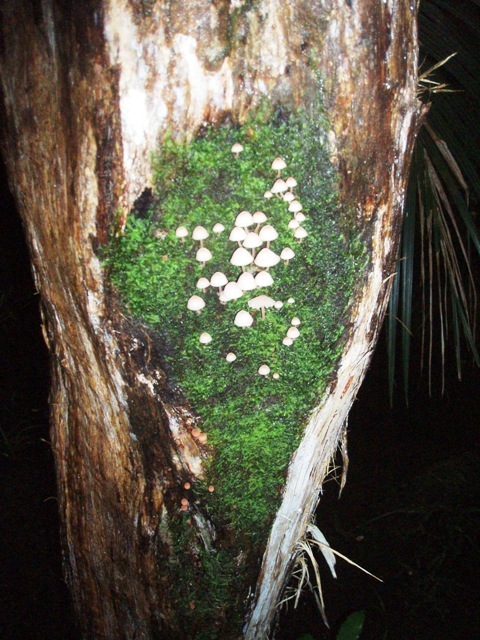 They also have excellent private but basic caravan park in the bush. 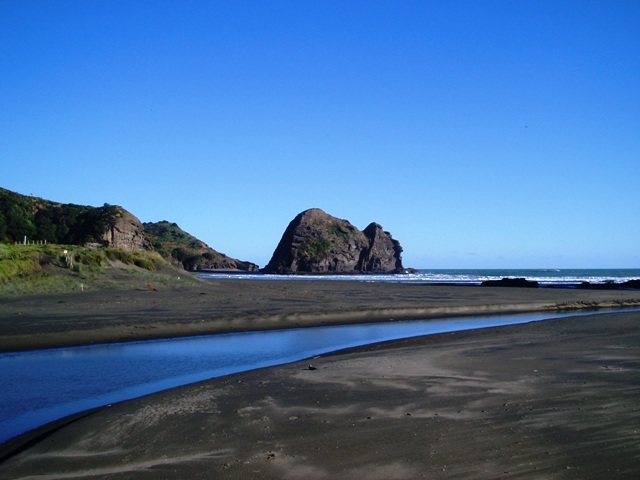 Surf casting and rock fishing is excellent at Piha. 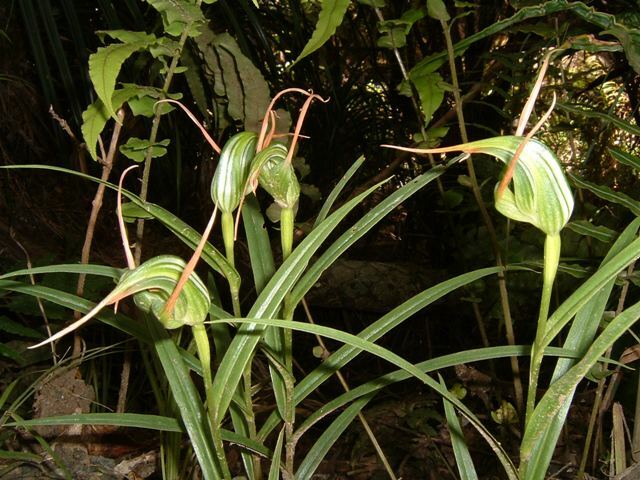 Its a bit of a hit and miss affair unless you have good local knowledge of the seasons and times, but you will certainly have as good a chance at Piha as anywhere else in NZ. If you’re not experienced at fishing off surf beaches go with someone who is. 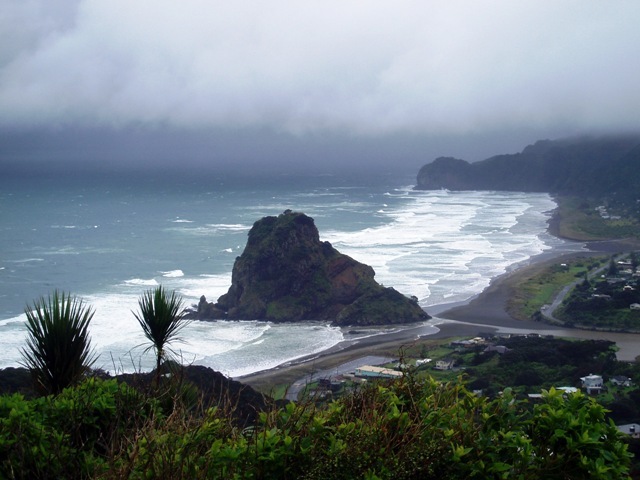 Freak waves and tidal conditions that can lead to entrapping your exit routes are very real on any West Coast Beach of New Zealand. Bring your own equipment. 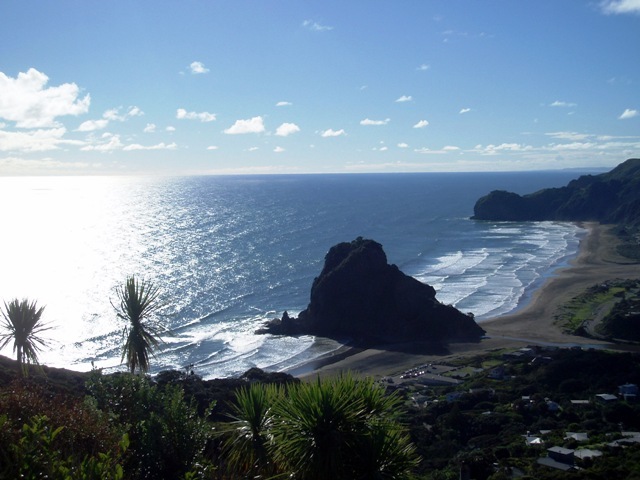 A fairly consistent sea breeze can give ideal conditions if you bring your own kite or Land yacht to Piha. 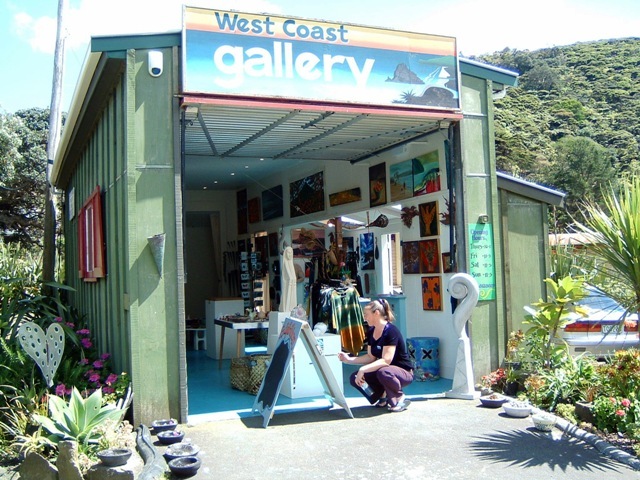 The Piha West Coast Gallery is a collection of art and crafts from Artists all through the Waitakere Ranges its open Weekends (10am – 4pm) and weekdays by appointment. Contact the gallery on 09 8128029 or Margo on 09 8128640.